American Yard Service & Irrigation is a professional landscape company that performs all aspects of design, installation and maintenance including irrigation. Our staff is involved from the beginning to the end, with customized, personal attention to details. By working with one company for the design, installation, maintenance and irrigation of your landscape, you are reassured that all elements of your landscape harmonize with one another and are installed with consistent quality and attention to the satisfaction of your needs and budget. 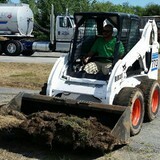 A.Weaver Lawn Care and Snow Removal was founded by Alan Weaver in 2008. 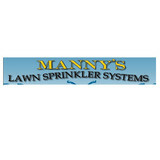 We are a small family owned company that provides exceptional service at an economical price. 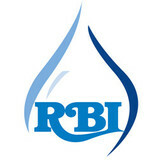 If you are looking for reliable service and at a reasonable price, give us a call at 401-451-3809. 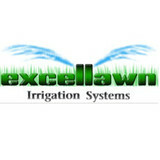 We are a fully licensed and insured lawn care company, and can take care of all of your outdoor needs. I’m Matt, the owner of Final Cut Landscapes & Hardscapes. While most kids would spend their summers on ballfields, I spent mine working at my cousins’ landscaping business. For a 14 year old, it was exciting to put on my uniform and work with older guys that I admired not only because we were related but because of their wealth of knowledge in both landscape and hardscape design and construction. After college, while working fulltime in the education field, I started Final Cut Landscapes on an “after school and summers” business. It grew from my SUV towing a small trailer into the business it is today. Once hardscapes (brick/paver patios, walkways, pool aprons, fire pits, etc.) were introduced, they rapidly became a significant part of the business as more and more of our satisfied customers shared our craftsmanship with their friends and relatives. I am ever so grateful that my work ethic began as a kid working with my cousins, Bobby, Jimmy and John. In addition to the maintenance side of gardening, Quonochontaug, RI gardeners can help you with garden design and choosing specific plants and grass types for your climate and area. Find a Quonochontaug, RI gardener on Houzz. Narrow your search in the Professionals section of the website to Quonochontaug, RI gardeners. You can also look through Quonochontaug, RI photos to find examples of yards that you like, then contact the Rhode Island contractor who worked on them.